The contemporary wind ensemble has expanded and redefined its identity, now offering composers as broad a canvas as that of a virtuoso symphony orchestra. 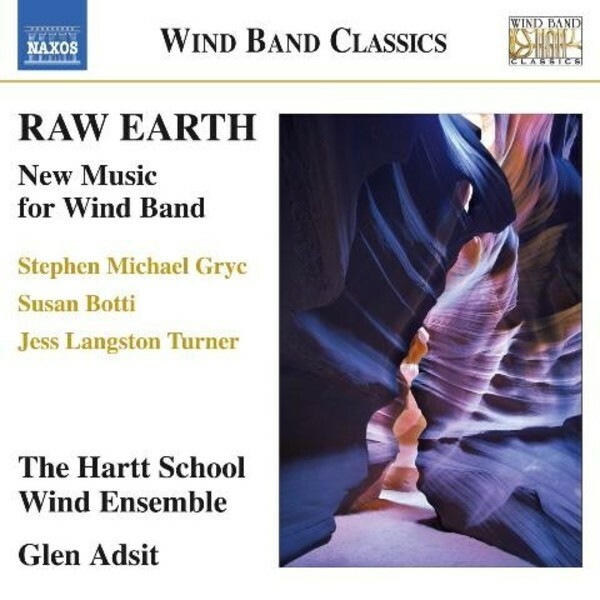 Each work heard on this recording reflects this new image of the wind ensemble, none more so than Stephen Michael Gryc�s Concerto for Winds and Percussion, which demonstrates The Hartt School Wind Ensemble�s brilliant technique and wide range of expression. Susan Botti�s Terra Cruda explores the innate behaviour and repercussions of aggression, while Jess Turner�s Rumpelstilzchen depicts different parts of the famous fairy story, from the sorrow of the maiden to the creepy little gnome�s fury after his plot has been foiled.